-help: Displays all usable commands. -buff: Provides a few beneficial buffs to the player. -warp 1-9: Provides a delayed teleport to certain towns. Type -warp in game to see all destinations. -poly (1 AA): Provides a 7,100 second (2 hour) polymorph of your choice. -panda! : A fun panda morph. Great for showing you are AFK. -brave (5 AA): Provides Potion of Bravery effect for 3,600 seconds (1 hour). -crackoftime: Informs you of the current location of the Crack of Time. -suicide: Kills your character and sends a message on global chat. WARNING: You will lose experience with this command. If you are level 61 or over, after suicide you will receive a vial of your class's blood in your inventory. This is used for certain bloodpledge quests, and can also be consumed to temporarily morph into a faster version of your class. -cdk (50 AA): This command gives you the CDK polymorph for 7,100 seconds. It's expensive, but provides a very fast morph for hunting. -freecrack: This command is sometimes turned on by Zajako as an event. Use it to get free 7,100 seconds of CDK. -arena: Teleports you to the FunLand PvP Arena. -immune (2 AA): The same effect as the Wizard's Immune spell. Decreases damage taken for 30 seconds. -aa: Displays the amount of AA that you have accumulated. -stats: Shows your current Magic Resistance, Armor Class, and Spell Power, along with your current % of level completed. This is useful if you are over level 100, as the experience bar does not move after this level. -fix: Causes you to "teleport" in place, which will fix your position if you are having issues with invisible monsters, going through stairs, etc. -auction: This allows you to see people entering numbers with the "+" command, which can be used to run personal auctions in the game. +[Number]: Allows you to enter bids on another player's personal in-game auction. -debug: Use this command if you want to see the damage you are doing with weapons or spells. You can also use this to get more detailed information from the -weapon command. -weapon: This command will show you the current weapon armed and (if using a Soul Weapon), will display the current level and % of the weapon. -doll: This command will show you your current power/skill doll's exp and level. -clanstats: Displays the current level, experience and reputation of your clan. -clanwar: Allows the royal of the clan to declare war on an enemy clan by typing -clanwar and the name of any online enemy. -endwar: Allows the clan leader to end a war by typing -endwar and the name of any online enemy. -soulmessages: Toggles weapon proc messages from any Soul Weapons around you, as well as your own. -elixirs: Displays the number of Elixirs or Fluids you have used. f# or \f#f#: Changes the text color. Use different numbers or capital letters in place of # before a bookmark, title, or chat message to make the text appear in different colors. /who: Tells you how many people are online. Add a name to the end of the command to see if a specific player is online. /pledge: Displays some basic information about your bloodpledge. If you are a royal, this command allows you to see all members of the pledge, whether they are online or offline. /join: Sends a request to a royal for you to join their bloodpledge. You must be looking at the leader of the bloodpledge to use this command. /leavepledge: Drops your character from the bloodpledge it is in. /title [Name] [Title]: Displays a title over your character�s name. You must be level 40 or greater to use this command. Royals can title members of their bloodpledge with this command. /bookmark: Opens your Location Bookmarks page. If you wish to bookmark a new location, type the command and add the name you want the bookmark to have. /exclude [Name]: Excludes the specified player from your chat and private messaging. Repeat the command or restart to un-exclude someone. /loc: Tells you your current location by cell number. Useful for finding members of your hunting party. /chat [Off/On]: Turns the global chat off or on. /macro: Opens the macro window, which allows you to enter up to 5 lines of chat, which will repeat in the trade chat. /tradechat [Off/On]: Turns trade chat off or on. /whisper [Off/On]: Turns whispers off or on. /shop: Use this to set up a shop and enter shop mode in a trade zone. Type the command again to exit shop mode. /trade: Initiates a trade with another player. You must be facing each other to trade. /ban [Name]: Kicks a member out of your clan (Royal-only command). 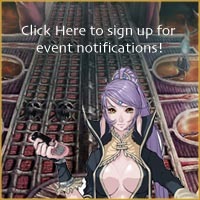 /invite: Invites a player into your hunting party. You must be facing each other. /banish [Name]: Kicks a player out of your hunting party. /outparty: Drops you out of your hunting party. /party: Lists the current hunting party members. /pk Toggles the ability to PvP without the use of the Ctrl button. /time Shows the current time (24 hr. format). Taken from your computer�s clock. F1/F2/F3: Goes to the 1st, 2nd, or 3rd set of shortcuts. F4: Picks up items around you. Tab: Opens your inventory window. Ctrl+A: Opens your status window. Ctrl+S: Opens your spell window. Ctrl+H: Opens the Help menu. Ctrl+V: Opens the Game Options menu. Ctrl+Q: Opens the Quit Menu. Ctrl+R: Toggles your HP/MP bar on or off. Ctrl+X: The last spell selected or used will be cast automatically when you click a target. This is helpful in PvP. Ctrl+P or PrtScn Captures a screenshot. All screenshots are stored in your Capture folder in the Lineage directory. Right-Click Cycle through the available targets below your mouse. Use this when players or monsters are stacked on each other.